John Baptist de la Salle was born into a wealthy family in France in 1651. After his parents death, he cared for his younger siblings and studied for priesthood. A man asked Father John to help form a free school for poor children. Although people criticised the idea of free schools, Father John built more, taught teachers to teach and to respect all students, and founded the Christian Brothers. St John is the patron of educators and principals. John Baptist de la Salle by Barbara Yoffie was published by Redemptorist in January 2015 and is our 66753rd best seller. 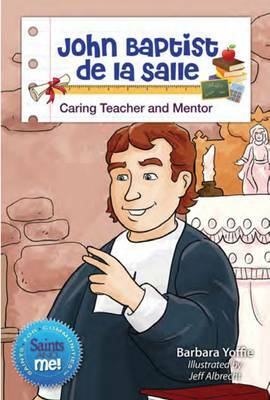 The ISBN for John Baptist de la Salle is 9780764825538. Be the first to review John Baptist de la Salle! Got a question? No problem! Just click here to ask us about John Baptist de la Salle.